My mother often told me in Spanish “De estas aguas nunca beberé,” “Of these waters I will never drink.” I was a stubborn little boy and I would refuse to eat this or that or do this or that. I eventually learned that she was right and by the time I was 22, I finally sampled peach yoghurt and I have not stopped loving it since. I never ate fish in a meat eating Buenos Aires, but in these last few years I have begun to like good fish and chips and I will tolerate barbecued salmon. Photographically I have prided myself that although I shoot lots of racy nudes I have never “done” cheesy boudoir nor have I ever planned to begin. But these 6x7 cm transparencies of a lovely woman called Karen Firus reveal that I did do such photographs. And in my failing memory I remember that I was assigned by Vancouver Magazine to take these pictures. I remember a house in North Vancouver and a completely purple bedroom. I do not remember if I suggested taking her photographs on her bed or if this was Ms Firus’s idea. The fact is that here they are proving that even from her grave my mother was always right. And Karen Firus where are you? In the blog below you might be confused by the fact that some of the novels in Spanish have title where only the first letter of the first word is capitalized - and, in some not. This curious discrepancy seems to be an Argentine one (they don’t capitalize) while other countries do. The same applies to accents of authors’names. And remember to further confuse things Argentine books until relatively recently had their table of contents at the end. But then in the past Argentines used to finish their meals with soup. Coincidence happens more often than not. My mother often said this to me but I never bothered to ask her who she attributed it to. I have not been able to find the source. 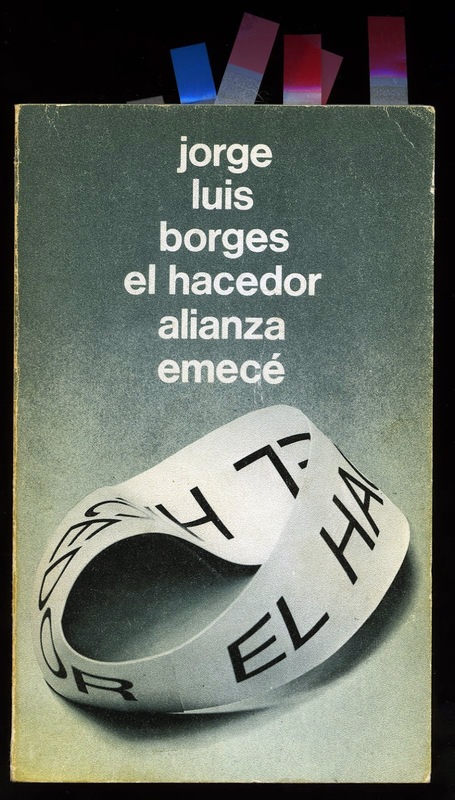 One of the most remarkable books in my diminished book collection since we moved from our large house in Kerrisdale to our small one in Kitsilano is Jorge Luís Borges’s El hacedor which he published in 1960. My fifth edition is from 1981. It is permanently ensconced on my bed table. Borges most definitely had a sense of humour but it was dry and sometimes I find that too many people take the man much too seriously. A case in point is his little one page essay La uñas. In English that would translate to The toe (or) hand nails. The essay is about his toe nails. When I read it (again) just a few days ago I was thinking about a Gabriel García Márquez novel Del amor y otros demonios which he published in 1994. It was rapidly followed by a translation into English called Of Love and Other Demons. In this novel a young woman dies of rabies and her hair keeps growing in the grave. Dóciles medias los halagan de día y zapatos de cuero claveteados los fortifican, pero los dedos de mi pie no quieren saberlo. No les interesa otra cosa que emitir uñas: láminas córneas, semitransparentes y elásticas, para defenderse ¿de quién? Brutos y desconfiados como ellos solos, no dejan un segundo de preparar ese tenue armamento. Rehúsan el universo y el éxtasis para seguir elaborando sin fin unas vanas puntas, que cercenan y vuelven a cercenar los bruscos tijeretazos de Solingen. A los noventa días crepusculares de encierro prenatal establecieron esa única industria. Cuando yo esté guardado en la Recoleta, en una casa de color ceniciento provista de flores secas y de talismanes, continuarán su terco trabajo, hasta que los modere la corrupción. Ellos, y la barba en mi cara. This coincidence made me think of another. 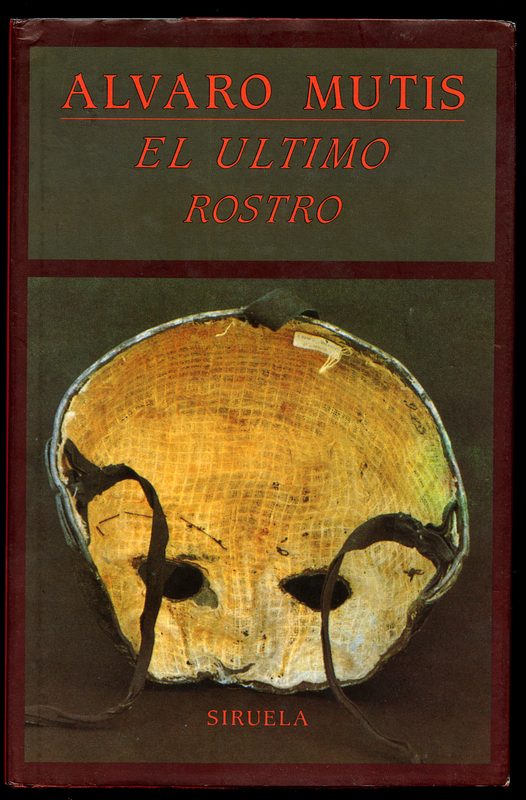 I have this lovely little and very slim book, El Último Rostro (1978) by Colombian-born (but he lived for many years in Mexico) called Álvaro Mutis. In that four-story collection, the title one is about Simón Bolivar before his death. The story is remarkably similar to Márquez’s novel (I have it in English) The General in his Labyrinth published in 1989. I would never cite plagiarism but I would state that inspiration is a wonderful thing especially when you are aware of it when it hits you personally. Rau Antiques places ads in the NY Times and I always notice them. I wrote about it here. In today’s June 21 NY Times (I am writing this today) I especially noticed the ad. This time around I knew a bit (a tiny bit) of the painter featured. The reason for this is that in my last two trips to Buenos Aires I have been buying Piazzolla CDs to replace my aging records or simply to buy stuff of his I don’t have. 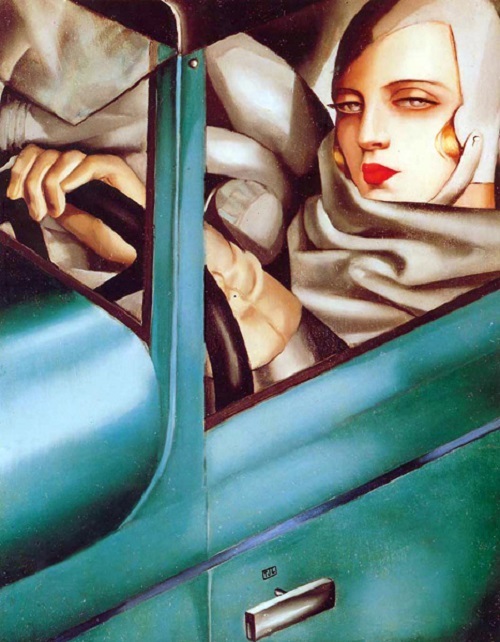 Some of these, in what is called Edición Piazzolla, use lovely (to me) paintings by Tamara de Lempicka who it seems was an aristocratic-looking Polish artist very popular in the Hollywoodand Europe of the 1930s. My Wikipedia says this about her. Tamara Łempicka, commonly known as Tamara de Lempicka (16 May 1898 – 18 March 1980) was a Polish Art Deco painter and "the first woman artist to be a glamour star". 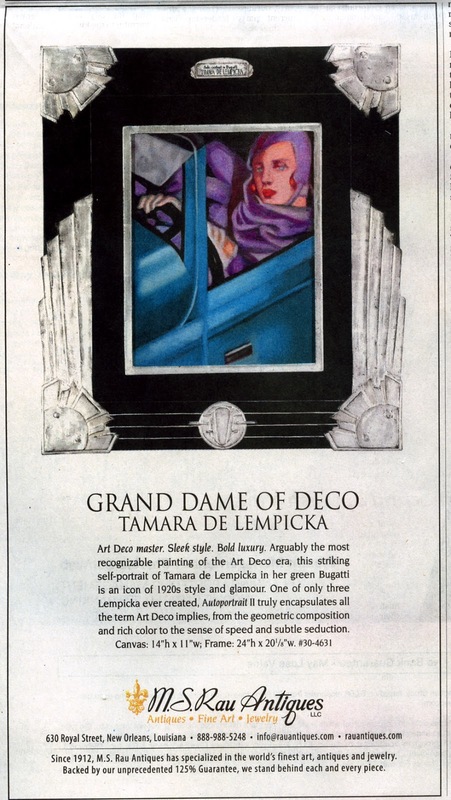 Influenced by Cubism, Lempicka became the leading representative of the Art Deco style across two continents, a favorite artist of many Hollywood stars, referred to as 'the baroness with a brush'. She was the most fashionable portrait painter of her generation among the haute bourgeoisie and aristocracy, painting duchesses and grand dukes and socialites. 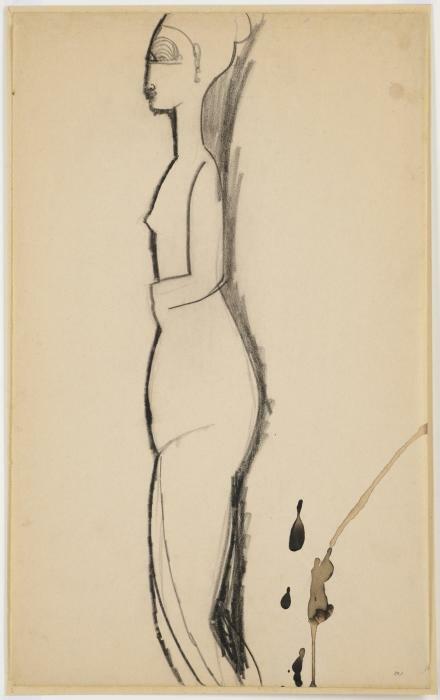 Through her network of friends, she was also able to display her paintings in the most elite salons of the era. 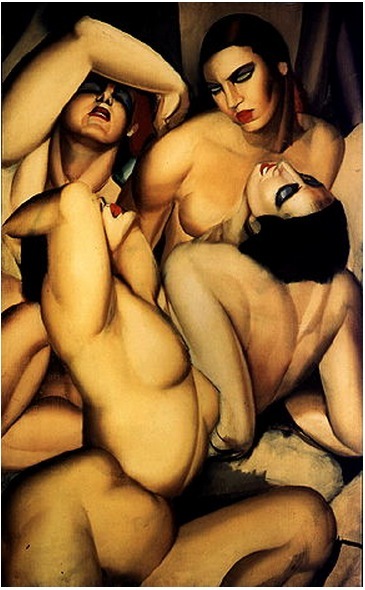 Lempicka was criticized as well as admired for her 'perverse Ingrism', referring to her modern restatement of the master Jean Auguste Dominique Ingres, as displayed in her work Group of Four Nudes (1925) among other studies. I noticed a striking photograph of her taken by a photographer called Dora Kallmus in Paris in 1929. What particularly struck my eye was the last sentence of the above Wikipedia citation. 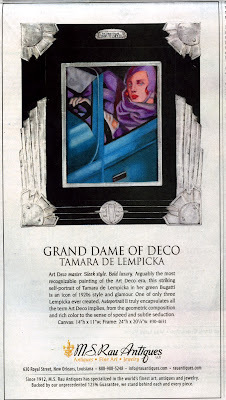 I found the painting mentioned and it is reproduced here. Since I do not have the standard art education (in fact I never had one) all I can say is that I love her images. I note that the Piazzola CD covers have an interesting interpretation of her paintings but in the back they have the full painting just as it is. There is something about being idle in one finding oneself away from the obligations of work and no longer being an important cipher is the making of things, the thinking of ideas for stories or the invention of photographic possibilities for obtaining a job that is no longer of any importance. This means that I can read and look and think. Unfortunately I find myself out of the loop of people who are in a position to be an influence on changing how we perceive society, even our immediate one. As an example I noticed my bloom of Rosa 'English Elegance' in a transtion to the droop and the inevitable decline of a lovely rose past its prime. So much of what we see now is brand new or protected to look brand new. As an example we have long forgotten that the purpose of paint on a car is to prevent corrosion. My Rosemary is upset at all the bumper (front and back) nicks which are inevitable results of having to parallel park on a crowded street. It doesn't affect me much. I know we could spend $2500 to make the bumpers look pristine and within a few days the little marks would be there. My (and our) little garden is a good place to notice what plants do when they retreat into that stage close to the perennial oblivion of roses and the other plants that have a season and then decline into fall and winter dormancy. 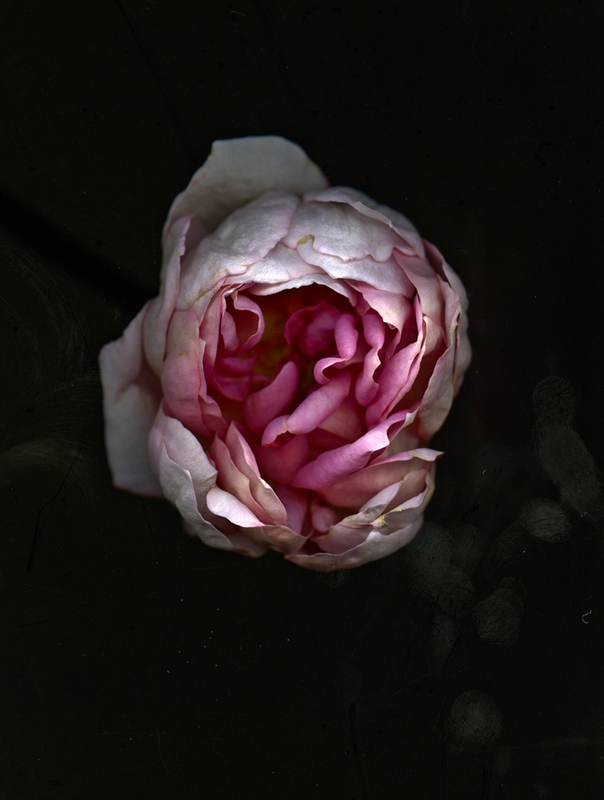 This bloom ( its petals) has lost the regidity of the rose that has just opened. For the Vancouver Rose Society Show this coming Sunday those who will be exhibiting cut roses will cut their choices at their prime and place them in the fridge to keep them from going any further. For me, while I understand the purpose, I also appreciate the beauty of something that is letting go, that is in that process of entropy that is a process that nobody can escape. Fashion magazines have models, male and female, in the prime of youth. With the help of photographic correction methods skin pores are whisked away as well as unsightly bags and creases here and there. And yet to this man, soon to be 74, there is beauty in that after stage of perfection. If metals can have patina and antiques look like antiques why cannot roses and people be seen in the same way? Most recently a friend of mine who lives in Lodon had her birthday. The good words going her way thanks to that terrible facebook reminder are about, "You are still beautiful," "You still look good," or this damning one, "I know I say this every year but it's still true. You never seem to age." The English word ghetto comes from the Jewish area of Venice, the Venetian Ghetto in Cannaregio. However, there is no agreement among etymologists about the origins of the Venetian language term. The various theories trace it to: a special use of Venetian getto "foundry" (there was one near the site of that city's ghetto in 1516); Yiddish get "deed of separation"; a clipped form of Egitto "Egypt," from Latin Aegyptus (presumably in memory of the exile); or Italian borghetto "small section of a town" (diminutive of borgo, which is of Germanic origin; see borough). Extended by 1899 to crowded urban quarters of other minority groups (especially blacks in U.S. cities). Vancouver Councillor. Kerry Jank has his doubts. 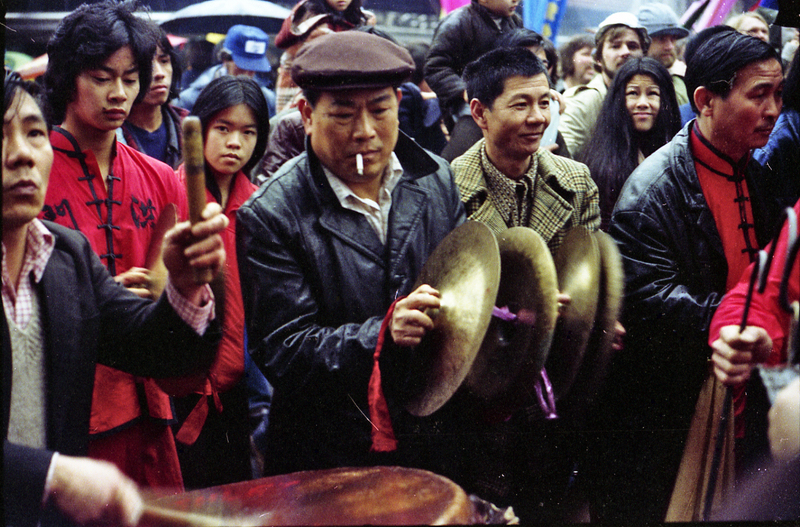 Jang was born in Vancouver and worked as a teen in Chinatown. His grandparents lived there. His clan owns one of Chinatown’s fraternal building on East Pender. But he believes Chinatown has been too reluctant to change. I don’t have to go back to Chinatown like in the old days, because that’s where we were allowed to live. In a nutshell I believe that Vancouver’s Chinatown, for many years was a ghetto that became quaint as years went by. We (the city) have forgotten that Chinatown was the only place where Chinese immigrants of another era and, those who may have worked on building Canada’s railway, could afford to live. They were monetarily shunned from other places in the city. I believe that we must redefine our concept of what a ghetto is. It does not have to be a designated area perhaps marked by railroad tracks (this side or that side) or some other type of boundary. The new immigrants from the East can live wherever they want as they can afford to live where they want. As this happens, and the proof of it all, is the skyrocketing increase in the buying price of houses in Vancouver, those who cannot afford it must leave and spread to the outskirts. I would define a ghetto in Vancouver as areas where the people who cannot afford city proper houses, condos or rentals are the people who are being ghettoized. The ghetto is now defuse but definitely not defused. In the early 90s when houses were being torn down in my Kerrisdale neighbourhood I noticed that the new houses had very nice stone walls and other stone work. I found it symmetrical and logical that the stone masons were now English and Scottish. Perhaps in the past ghettos existed because of differences of culture, language and religion. Now they exist for monetary reasons. Link to: What's a Ghetto? On Wednesday I met up with my favourite Vancouver artist, Neil Wedman at a café on Granville Street. He was there with some artist friends, a photographer and two people who work at an important Vancouver art gallery. It was fun to feel a bit less isolated. Ever since I stopped working for magazines and newspapers I no longer have access to some events. As an example a former tango partner of mine from my past who is studying in London met up with Tilda Swinton. My friend told me that Swinton will be here in August and could I set up an interview with her so she (my friend could do the interview) and I would take the pictures. With no access to the Globe & Mail for whom I worked for many years it would be impossible to get to Swinton. At this point in my life I am happy to photograph “ordinary” people and I leave the celebrities to others. Wedman asked me if I had read in the NY Times about an artist. I had since both are avid readers of the NY Times and particularly of the Friday edition. The Friday NY Times has two arts sections. There is the ordinary (but very good) one on film, theatre and dance, but the second section is all about the visual arts. 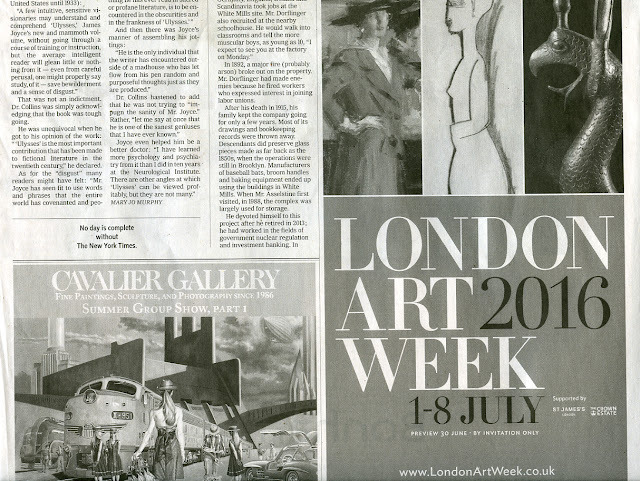 in NY City called Cavalier Gallery and the other for the London Art Week 2016 1-8 July. 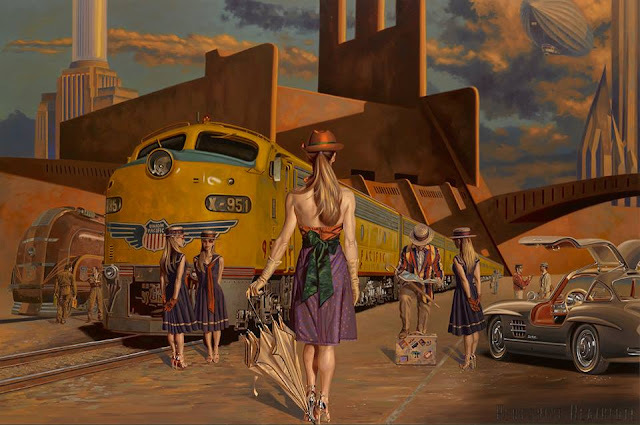 The painting illustrating the Cavalier Gallery feautured a painting (but reproduced in b+w) by someone called Peregrine Heathcote and it is called Glory Days. It is not hard to notice the Mercedes Benz 300SL convertible on the right. I would believe that Wedman, who besides being a very good artist, is also a bit of a snob, would find this English painter derivative. I would be afraid to ask Wedman about it. The second ad had in its centre a drawing that caught my eye. It almost looks like a profile of Egyptian pharaoh Akhenaten. 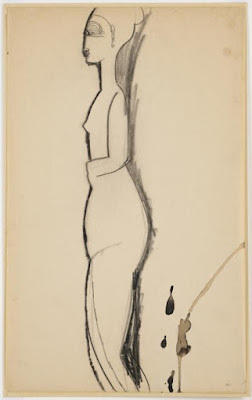 I looked it up and it is by Amedeo Modigliani. I happen to have a very good new model who has very short and very blue hair. Her chest matches Modigliani’s drawing. I will be doing a variation of it in the next couple of weeks.